Many photographers toss around the cliche that they live and breath cameras — but one photographer could actually live inside his. Photographer Kurt Moser is converting a Russian Ural truck into a camera capable of shooting images on 4.9-foot glass plates that weigh nearly 90 pounds. The reimagined truck serves as both a camera and darkroom, and allows Moser to work with the (very) large format remotely — and his website even says he will both work and live in the giant camera truck. Designed to capture the beauty of Italy’s South Tyrolean Dolomites mountains with the large (and historic) glass plate process, the truck uses an APO Nikkor 1780 mm lens. Moser said the lens is one of only ten in existence, and was one of the biggest hurdles in realizing the project. After securing the lens — and a giant 6.5-foot 1907 wooden camera for studio shots and areas not quite accessible by the big truck — Moser sought out funding on Kickstarter and raised over $70,000 for the project, allowing him to move forward with his dream. The camera will use glass plates instead of film, using a method known as the ambrotype. The glass plates are coated with collodion emulsion and dipped into a silver bath, and then a chemical reaction etches the image into the glass. The medium requires an on-site darkroom, since the glass has to be finished and sealed before the chemicals have fully dried. Moser, a broadcast news cameraman and documentary photographer, describes himself as a professional globetrotter. 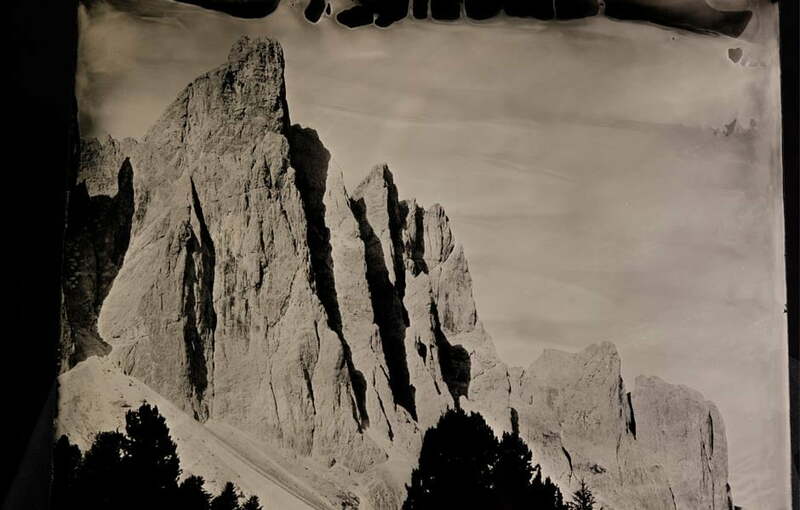 His Lightcatcher project aims to use both that 1907 wooden camera and the Ural truck to create fine-art images of the Dolomites that cannot be reproduced.